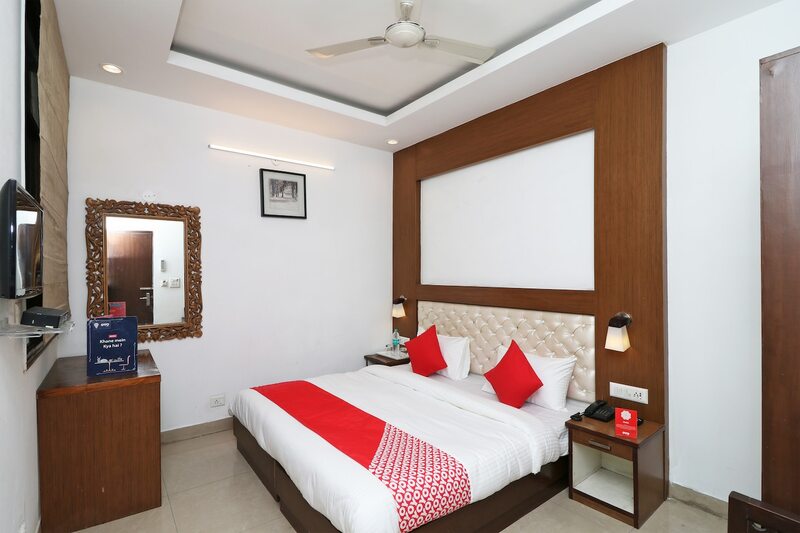 The comfort of the New Hotel Rajwada can be found at Block B, near the Head Post Office of Gurgaon. The Regional Museum and Municipal Corporation of Gurgaon are located quite close to this place. The place can be reached from National Highway 48. Be it the blinds, the ornamental border of the mirrors or the paintings on the walls, the place has a sense of ornamentation uncommon anywhere else. Night lamps are placed on the headboards that can make it a wonderful option to read at night. The guests are benefited by the kitchen, the conference room and the laundry services at the place. The place also has an emergency power backup system. The dining area in the hotel is also another addition. If people want to try something other than the in-house restaurant at the place, Sri Ram Sweets & restaurant, Jain jalebi, Dosa Xpress, Nandan's Restaurant & Iyo are great options.